It was strange music to the ears of Italian astronaut Roberto Vittori on his taxi flight to the International Space Station, accompanied by 14 female house crickets for the CRISP 2 biology experiment proposed by Ulm University and managed for ESA by CNES and CADMOS. This is the story of an experiment using these surprising insects to help us better understand the effects of gravity on neuron proliferation. The CRISP 2 * science experiment was flown as part of the Italian Eneide mission on the ISS. Its objective was to measure the effects of gravity on neuron proliferation, because although neuron development is genetically controlled it also responds to the surrounding environment. 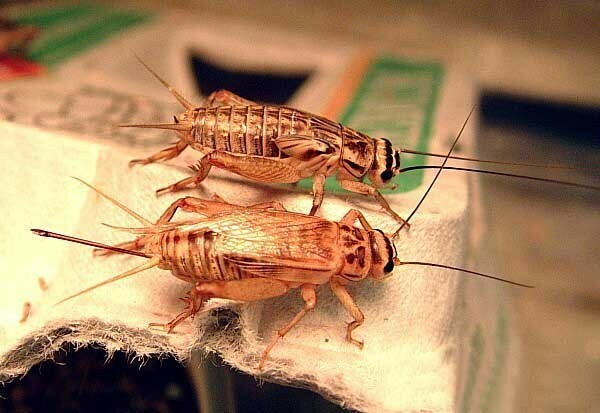 The experiment used female house crickets (Acheta domesticus). Crickets have sensors at the end of their abdomen, on their head and on other parts of their body through which they sense gravity to orient themselves. What happens if young larvae develop in microgravity? Will the connections between the animal’s brain and its gravity sensors form? 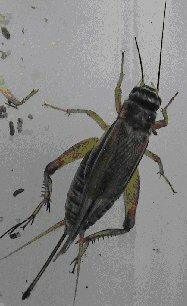 How will the crickets behave on returning to a normal gravity environment on Earth? An initial experiment in 1998 showed that the response of cricket larvae to gravity was not affected by a period in microgravity. On the other hand, the neurons linked to their positional sensors were altered. But this experiment used young larvae that had grown on Earth. To allow them to develop in microgravity, the larvae used as test specimens for CRISP 2 were inseminated in a ground laboratory and left to deposit their eggs on board the ISS. CRISP 2 was supervised by CNES’s CADMOS centre for the development of microgravity applications and space operations. CADMOS’s role is to provide technical and operations support to science teams for microgravity experiments. On this mission, it oversaw development of equipment at Ulm University, produced documentation and supervised astronaut training on CRISP and mission simulation. After this preparatory phase, the 14 female crickets were placed in the Soyuz spacecraft. On board, they were transferred to ESA’s KUBIK incubator with the internal temperature set at 28 °C. The females were allowed to deposit two batches of eggs at different times, to obtain young larvae at the start of the mission and more fully developed ones at the end. The crickets’ behaviour was recorded on 4 videos for subsequent study. 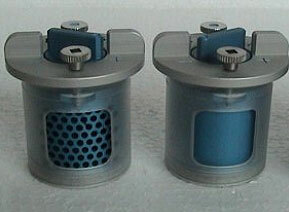 A control experiment was conducted at the same time in a ground laboratory using identical equipment, for comparison with the results obtained in microgravity. Once the mission was over, CNES recovered the female crickets and larvae for transfer to Germany. The females were able to make the trip at a controlled temperature with the help of Air France, which allowed these unusual passengers to travel in a temperature-controller container in the cabin. And border police were happy to let the “young mothers” through without subjecting them to X-ray screening.